March is Women’s History Month…which always has me stop for a moment…and think about where we (as women and as a society) have been and where we are going. As I took a moment to reflect, it occurred to me that this was personal as well as political. It really was the personal that struck a chord with me recently. Though it is encouraging that so many women were recently elected to Congress, I’m going to sidestep the political aspect of that social change here for want of encouraging a more creative discussion. 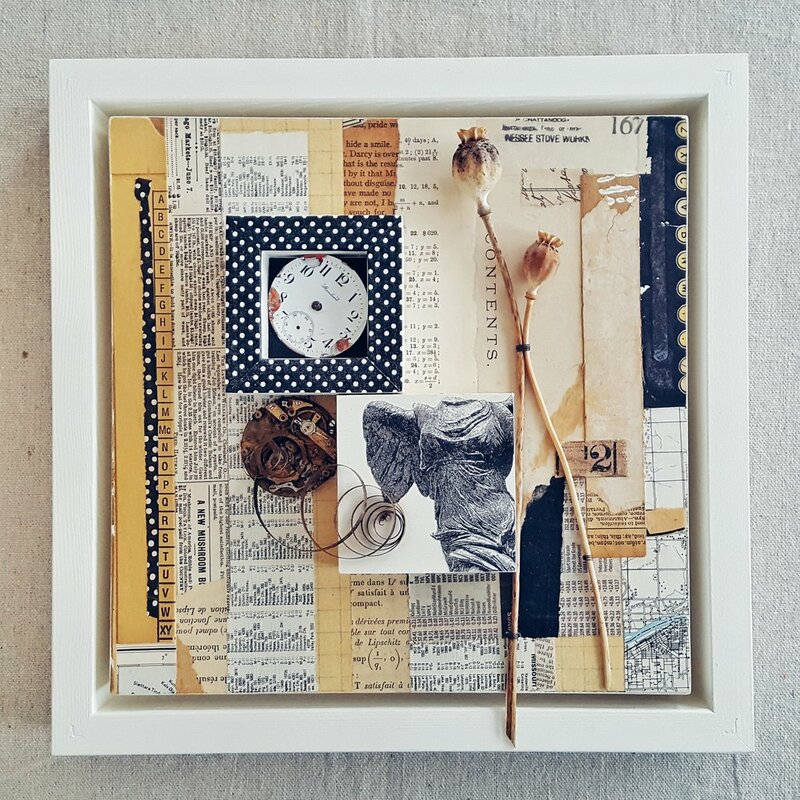 I’ve been working on several new mixed media collages - I often work in a series, having a couple of pieces in process at once. It helps to have a rotation; as the glue on one collage is drying, I can be adding embellishments to another or buffing the final layer on a third. 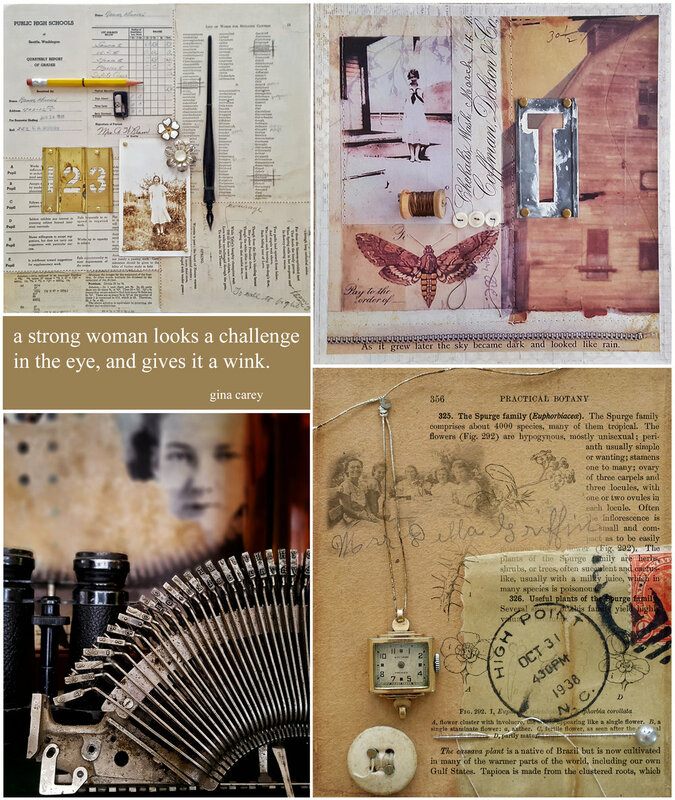 As I looked at the pieces on my worktable, I found the common element of women and a dialogue of what role they play in my artistic renderings. 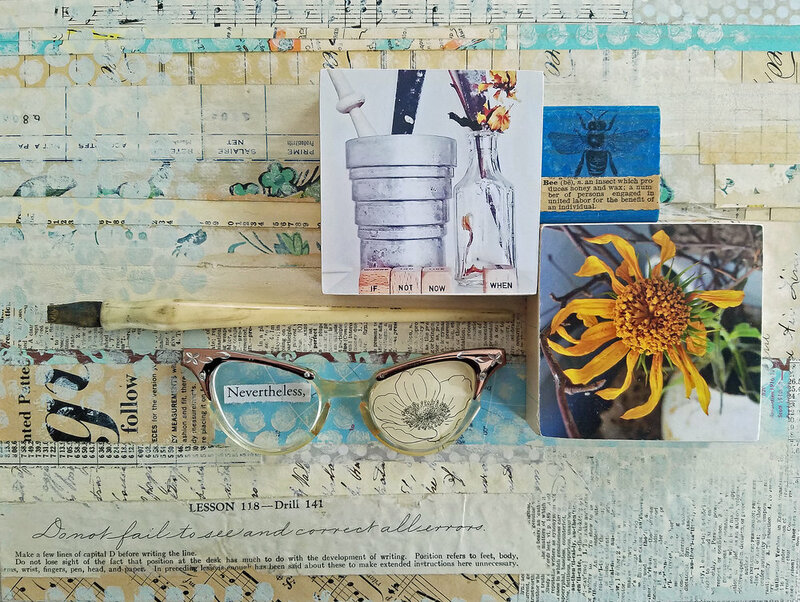 As I start to pull paper scraps and photographic images together, a theme usually emerges…the eyeglasses immediately played off the lesson from the student handwriting workbook and the wood word blocks sounded the clarion call…subtle, yet timely. Sometimes the idea for a theme doesn’t start at the beginning…but reveals itself to me at the end. The image of Winged Victory is a famous statue, long known for its grace and beauty…but let’s face it, she’s missing a head and both arms! Perhaps an apt view of women in ancient times…not completely whole and definitely silent. The title, “she’s come undone” came to me in a moment and provided the impetus to add the uncoiled watch spring and offer a commentary on today’s woman of trying to do it all. Until I stopped to consider my work as a continuum, rather than just focusing on individual pieces, I had never realized the thread that subconsciously tied many of them together…a body of work that had a point of view and a story to communicate - the essence of what an artist hopes to convey. First was the ongoing theme of women in society…which was a big thing for me in college….and still is today. I had started out as a Forestry major and was only one of two women in my first freshman class. I knew going in that this was likely going to be a challenge and I would face my share of discrimination, put-downs and come-ons but I wasn’t going to let that deter me. I was determined to be taken seriously. Though I switched my major and my career focus, this attitude would prevail throughout my college years and into my professional life. Second, I was surprised to see that the seed of mixed media collage had been planted early. 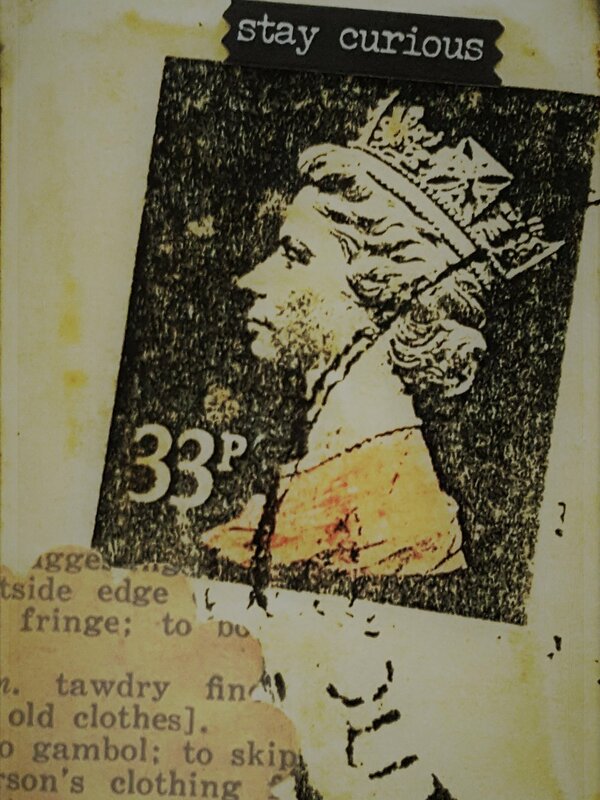 I’ve never been much of a painter nor sketcher…but I made elaborate collages with cardboard, glue and a stack of magazines. And though the materials have shifted some, the concept and ideas remain. Its a common question that I get - “how do you do what you do?” And I really can’t explain it - nor can any artist either…somehow you find your niche and when you do, it just happens. I’ve tried more painting - and ceramics and sculpture…but they leave me feeling very clumsy, very out of my element. Third…I had an itch to move west back then…and though I didn’t go to California, I did make it to the West Coast, and have been living both in and outside of Seattle for many years. So what does all this have to do with the beginning of March…that’s its good to step back once in a while; assess where you are and make adjustments if need be. For me, its a time to gauge how I’m doing with my word for the year, Refresh…and so far I seem to be on track…and still plenty curious.